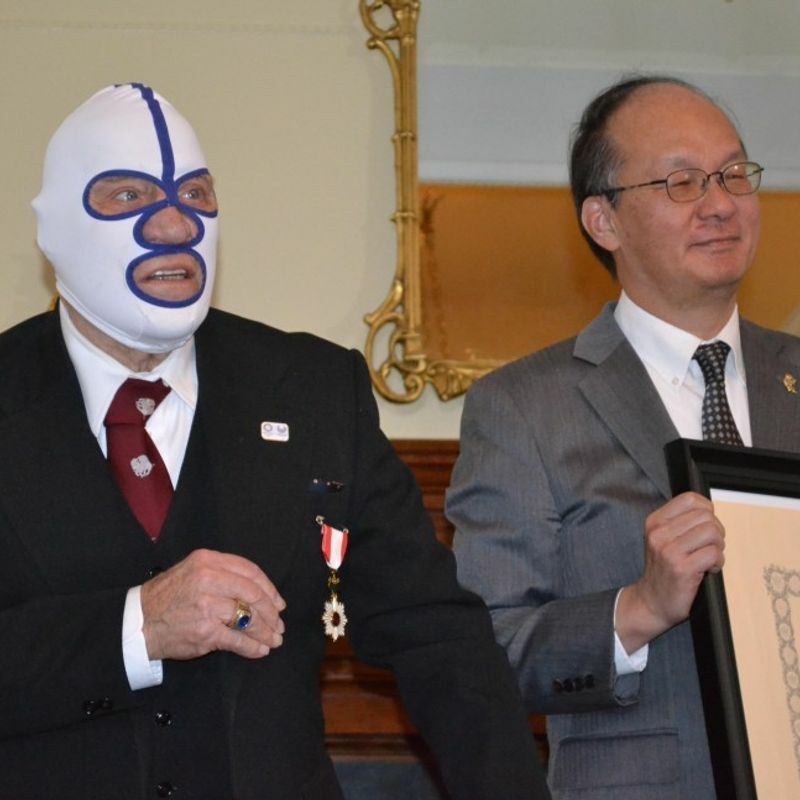 BUFFALO, New York - A former American pro wrestler who was popular in Japan in the 1960s and 1970s was awarded one of the country's highest honors in a ceremony in Buffalo, New York, on Saturday. Richard Beyer, 87, once known by the ring name "The Destroyer," received the Order of the Rising Sun, Gold and Silver Rays from Reiichiro Takahashi, the Japanese consul general in New York. 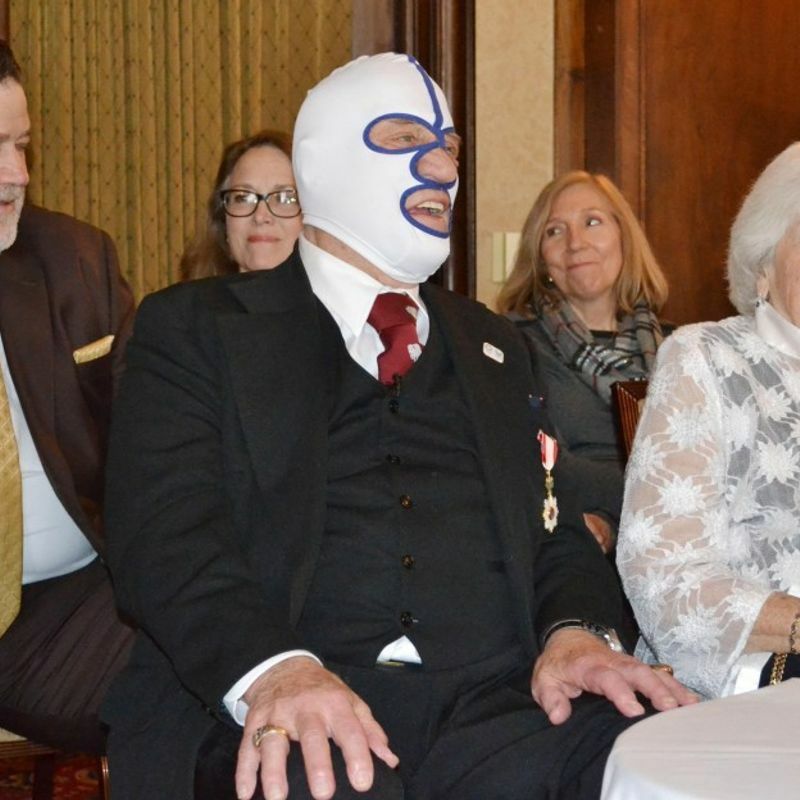 Wearing a suit and a mask, an item integral to his wrestling persona in his heyday, Beyer expressed his gratitude. In a press conference following the event, Beyer said although Japan was a World War II enemy when he was in high school, he became a big fan of the country after traveling there. He came to Japan for the first time in 1963 to wrestle in Tokyo with Rikidozan, a postwar wrestling legend in Japan who hailed from an area that is now part of North Korea. The televised bout garnered an incredibly high 64 percent rating and sparked an unprecedented wrestling boom in Japan. In the 1980s and 1990s, Beyer taught physical education in Akron, New York, and promoted exchanges between young Japanese and American wrestlers. Beyer said he hopes to visit Japan for the 2020 Tokyo Olympics and while there spend some time teaching amateur Japanese wrestlers.